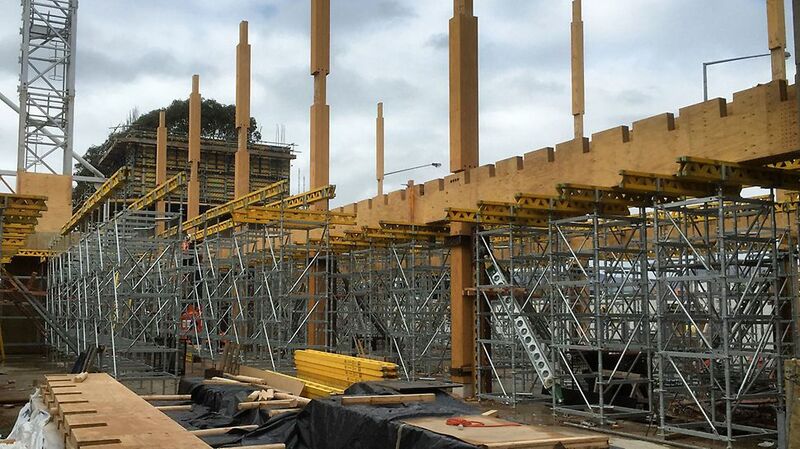 3 storey polytechnic block, floors consisted of laminated timber beams with rib and timber infills. 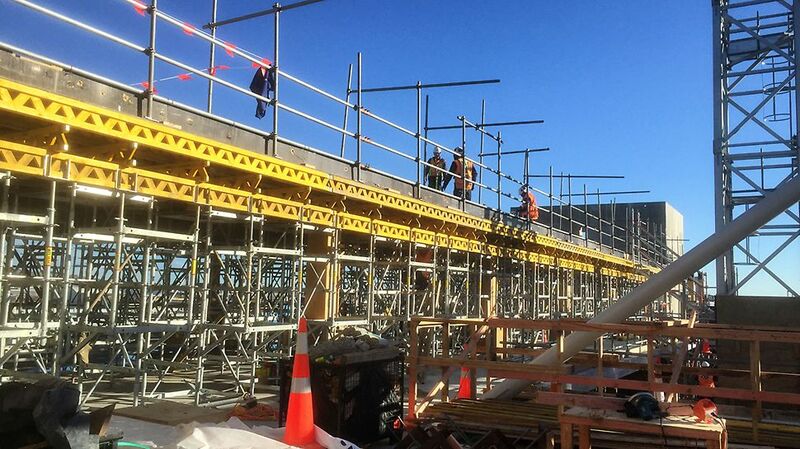 Fast, efficient and light falsework system was needed for the project. Time /cost advantage due to lightness of STR system. 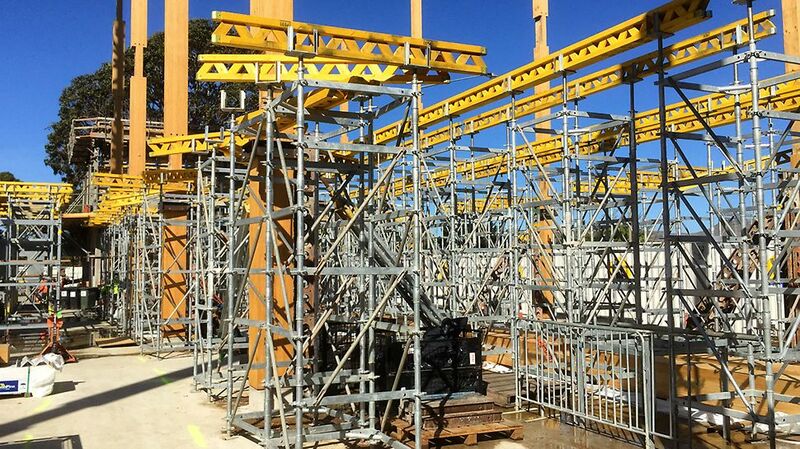 Previously the customer had used traditional shoreload frames and was amazed at the speed of the STR system.